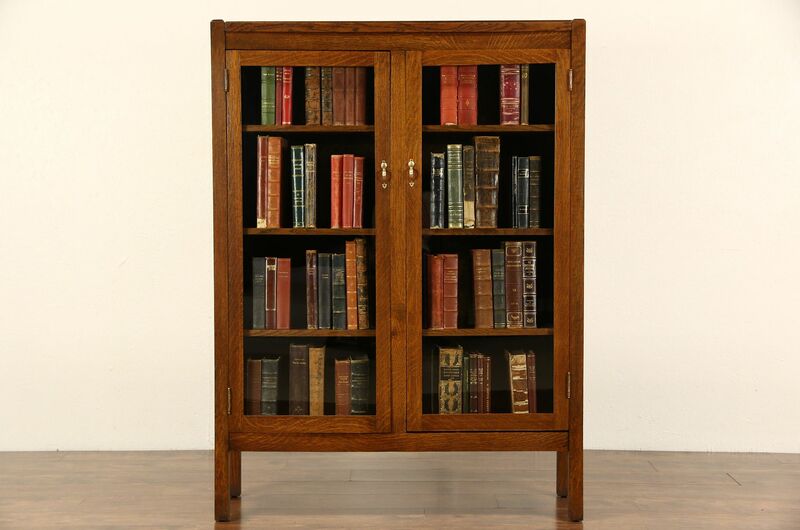 A 1905 era bookcase from the Arts and Crafts or Mission Oak period is solid quarter sawn oak. The restored finish preserves a few mars and stains for antique character, see photos. Doors have small warps from age, see photos. Shelves are fixed on this American made antique Craftsman library furniture. Rosy brass hardware is original. Measurements are 42 1/2" wide, 15" deep and 59" tall.